Today is one of those rare days when I am caught up on my writing assignments and had a morning to do what I wanted. 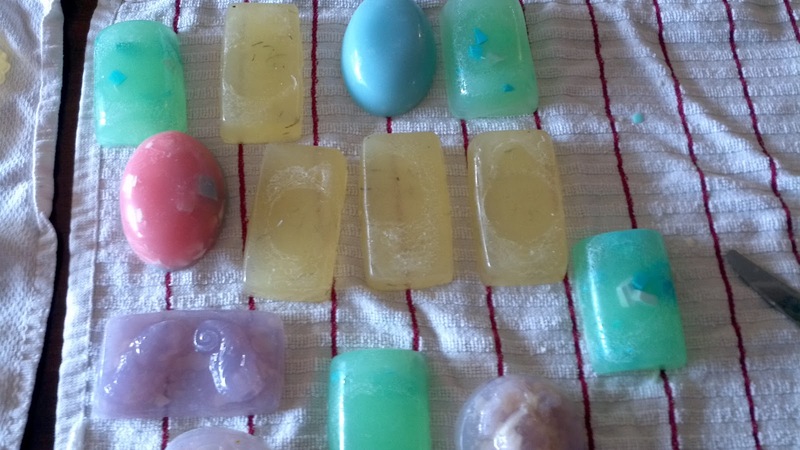 So, I did one of my favorite things, and made all sorts of bar soap. It’s so easy, so don’t think I am a big shot by using complicated ingredients such as lye or other hard to pronounce ingredients; on the contrary I have a few types of glycerin soaps, olive oil and basic glycerin. In my collection are dried flowers, essential oils, lanolin, vitamin E, aloe, coloring and other fun additives. All you need is a microwave proof bowl, a knife, if you want to mill some bars of soap you have on hand, a rubber spatula and some soap molds. 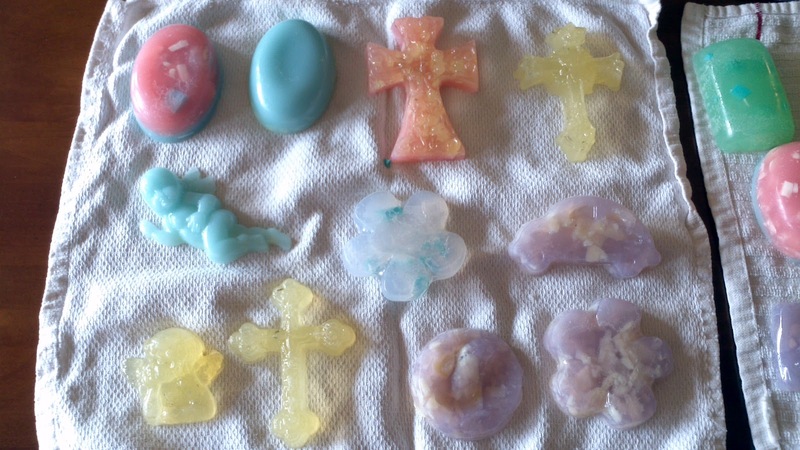 Microwave the soap pieces, mix in coloring, oils, and whatever else you like. Easy peasy–and the best part, is that our house smells amazing from the combination of all the essential oils. It took me about an hour to create 24 bars of soap that will last us a long time. 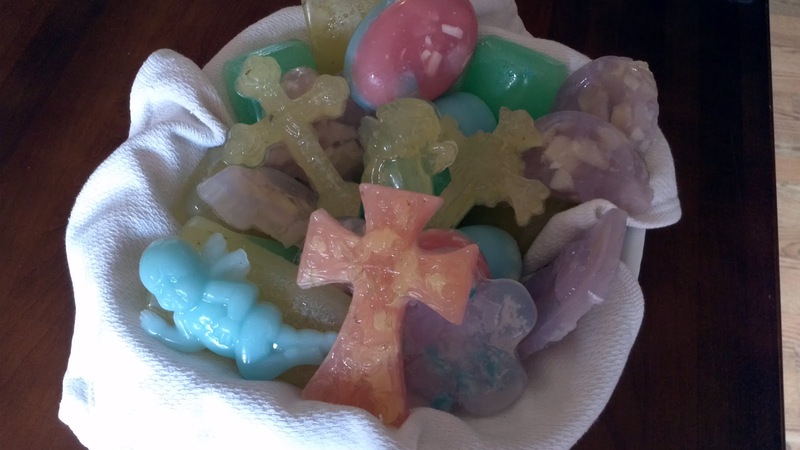 This entry was posted in handmade soap. Bookmark the permalink. I love your blog! It's so pretty. And these soaps are gorgeous! Thanks so much for reminding me to come visit after you visited Peace Garden Writer earlier and left me that fun award. I am struggling to get around to read the many wonderful blogs out there, but I am going to come back here when I can, Karen. God bless you! Thank you so much Roxane! It's hard to see all the blogs out there, but this award was a good way for me to check up on some of my friends! Bless you too, my friend! Thanks so much Kare–glad you like them! They smell lovely!